← Nuclear Limitation and Memories of the Umbrella Man! AIDS FOR FOLLOWING THE MONEY IN POLITICS! Aug. 6, 2015 By Jack Jodell. Anybody with even half a brain, or who has their eyes and ears open even a smidgen, knows how our Extreme Court’s disastrous 2010 Citizens United ruling has opened up the floodgates for an ever-increasing amount of tainted corporate money to enter and pollute our electoral system. The evidence of this is the ridiculously large number of billionaire-supported candidates who are lining up to be the next Republican nominee for president. More very strong evidence lies in the overwhelming number of unchallenged lying political ads we will be exposed to in the corporate-owned mainstream media next election season. These ads annoy, nauseate, and infuriate us because they are usually negative and are packed with deceptive lies and distortions. ALL are paid for by special interests whose primary interest doesn’t usually coincide with those of most workers or voters. These lying ads are especially dangerous for millions of low-information voters and will often cause them to vote for the sponsor’s candidate rather than for the candidate who would actually be best for that voter. This ever-present misleading of voters is an anti-democratic threat to the integrity of our electoral system, and must be combatted by we informed lovers of democracy each and every time it appears. But how can we be assured of what is truth and what is fiction with so many slick liars circulating their lies around? 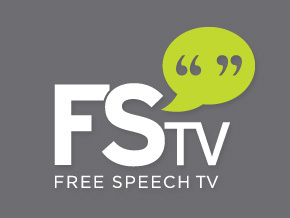 From watching FREE SPEECH TV, I recently learned of an excellent website to visit which enables the reader to track outside special interest money and to see which politician this money corrupted as well as which proposed bills came about as a result of this corrupting money. It gives a comprehensive listing of legislators, bills they are. will, or already have been considering, plus specific interest groups and companies as well as the amounts of money they have all spent to bribe Congress. This amazing site is called MapLight, and you can see it by going to www.maplight.org/ . You will find a literal cornucopia of relevant and vital information there, and you will definitely want to bookmark it for future use, especially once the 2016 campaigns begin. Another related website which will help you to follow the money which may or may not be influencing or corrupting your particular politician, is called Open Secrets.org (www.opensecrets.org/). Here you can see who your representatives and senators are, where their fundraising money has come from, plus very valuable info on the various lobbying groups and types of businesses who may be influencing them and how they will vote. Both of these sites can give you a fascinating glimpse as to exactly who has been bribing your representative or senator, and how this money has been influencing their voting habits. It is now up to YOU to hold them accountable for their votes! Even better, boycott as many products as you can that are made by the corporations supporting those candidates you don’t like! Make them pay for their conniving deceit not only at the ballot box, but also with missing cash register receipts! This entry was posted in extremists, FREE SPEECH TV and tagged Extreme Court's disastrous 2010 Citizens United ruling, follow the money, MapLighf, Open Secrets.org. Bookmark the permalink. 2 Responses to AIDS FOR FOLLOWING THE MONEY IN POLITICS! Thanks, Val. I hope millions of others WILL take the time to investigate who, how, and why their public officials are being so corrupted.